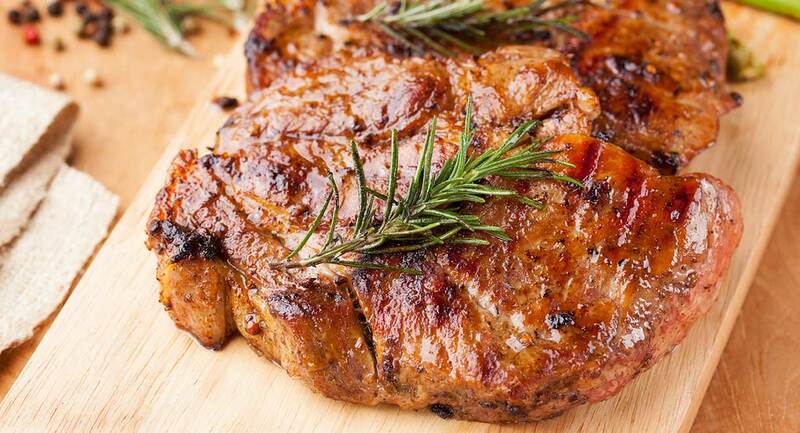 These rosemary pork chops make a delicious low carbohydrate dinner when served with salad or vegetables. Add the butter and oil to a pan over medium heat. Season the pork chops with salt and pepper. Once the pan is hot, place the pork chops inside and sprinkle with rosemary. Cook the chops on both sides until well cooked and lightly browned.